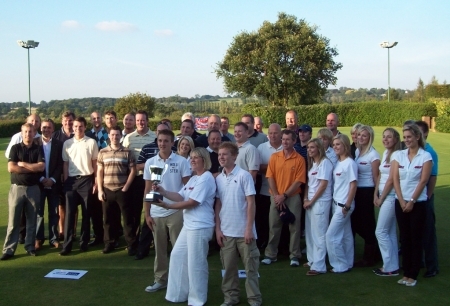 Sign up now for the annual Karl Brooks Memorial Golf Tournament being held at Stockbrook Country Club Essex www.stockbrook.com on 18 Sept 2009. 19th August 2009 at Barham Crematorium at 4.00pm. Barham is just by the Folkstone exit on the A2 between Canterbury & Dover. The latest round of the British Water Ski Racing Championships took place in Brixham on 5th July. Courtesy of Sue Fleming, the results are below. Brixham GB National Video that took place yesterday posted by Dan Ellis. Kurt Brooks has been announced as an F2 Skier For Team GB at the World Championships later this month. This is Kurt’s 1st year in Men’s F2 skiing behind a Force 21 with Dell Estall driving and Martin Brooks observing. British Team Captain Wayne Harvey has published the British squad for the 2009 World Water Ski Racing Championships in Belgium. Click the image below to open a full size version. The 5th round of the British Water Ski Racing Championships were held on Saturday and Sunday at Weston-Super-Mare. Neil Pallender was at Cardiff and he shares his photos with us via his Flickr account. Keith Slater captured Paula Newland in action as she prepares for the World Championships in Belgium. The 43 year old mother of two finished 5th in the 1999 Women’s event in Spain and teams up again with driver Dave Llewellyn, and husband Nigel on the canals. Britain’s F2 Women’s representitive for thye 2009 Worlds, Clare Kirk has been injured in a fall. It is uncertain at this stage as to whether Clare will be able to take part in the Worlds with her team Greg Bassam and Roy Taylor. Louis Newbury-Smith uploaded 14 minutes of video footage of the 1st ever world championships which took place in 1979. This a superb look back at water ski racing history – 34 years before the forthcoming 2013 World Championships in Tenerife. Keith Slater captured two days of racing on camera at the recent round of the British national water ski racing championships in Cardiff. Below is a small selection and you can see all of Keith’s shots via the links at the bottom of this page. Keith Slater was on hand at the British National race in Allhallows to capture Will Newland getting some air before securing 2nd place in F3. The 4th round of the British water ski racing championships took place on 30/31 May at Cardiff. Thanks to Sue Fleming, the results are here. Neil Pallender has posted a pile of great shots that he took at last weekend’s British nationals in Alhallows. Click any image below to go to his Flickr library. The Cyclone Boat Co. GB now has more Cyclones that ever on the expanding British watr ski racing circuit. Yesterday after the 3rd round of the British Nationals at Allhallows, British Team Captain, Wayne Harvey, announced the National Team for the 2009 World Water Ski Racing Championships. The 3rd Round of the British Water Ski Racing Championships took place at Allhallows on the weekend. Thanks to Sue Fleming for the results and Karen Brooks for the report from the 2nd round of the British Water Ski Racing Championships which were held at Hunstanton on Sunday. Rob Harks of VVW Kruibeke Belgium reports that Darren Kirkland won the mens F1 Race in Viersel, Belgium on the weekend behind Kelly Nulens F2 outfit. Neil Pallender has shared a couple of shots from last week’s British national race from Lyme. The British water ski racing season has kicked off on a local level and national races are about to commnece on 3rd May at Lyme Regis. British Water Ski currently has a vacancy for a Development Officer to play a key role within the organisation to assist in achieving short and long term goals. British Water Ski has a vacancy for an experienced Operations Manager to play a key role within the organisation to assist in achieving BWS short and long term goals. Since Tony Williams stepped down from his seat of British Racing Chairman, GB has been busy considering who is the right person to take on the role and take British water ski racing forward in 2009. To help encourage people to attend the 2009 series of water ski races in Britain a glossy A5 programme for all of the races is being produced. As Tony Williams steps down from the role of British Team Captain (read more), Wayne Harvey has agreed to fill this key post in British water ski racing. Once again the Annual British Racing Ball this year was an extremely well organised and very well attended occasion. At the end of a very successful evening and following on from the presentations by British Water Ski Honorary President Lord Moynihan, Tony Williams made a most unexpected announcement. If you are in interested in future events, please sign up on the web site. Thanks to Sue Fleming, below are the results from last weekends final British National race at Stone, along with the full results for the 2008 series. Mandy Rix of Hunstanton Water Ski Club writes …Damon Eastwood, former top skier for GB, recently married Joanna Mee.Â The wedding took place at Belvoir Castle, Lincolnshire on Saturday 6th September 2008 at 2pm. Last weekend saw the final round of the 2008 European Water Ski Racing Cup held in Cardiff, GB. I’ve heard that it was a superb event enjoyed by dozens of teams from all over Europe. Congratulations to Dave Llewellyn and Howard Smith for organising the event. Courtesy of Martine Ciroux, results of the weekend’s racing and the overall championships are below. Scott Munro & Anthony Scaccia are calling all ski racers that have not skied competitively for 10 years. Thanks to Sue Fleming, below are the results from the British National Water Ski Racing Championships that took place at the holiday seaside resort of Weston-Super-Mare on Sunday 27 July. Steve Royce of Tribal Water Sports Europe worked closely with Australia’s Howie Hook to create a design for recent 2008 European Water Ski Racing Championships merchandise. If you would weren’t at the event, there are still some items left and you can order them online here. It is with regret that I have to announce that Norman Fletcher passed away on Friday 4th July after suffering from Alzheimer’s Disease for some time. Norman supported water ski racing for many years with his boats and at the 1st Worlds in 1979 he supplied the two Red and Yellow Fletchers which towed Andy and Stephen Coe. The 2008 European Water Ski Racing Championships are about to take place in the same format as in previous years, which is virtually identical to the World Championships. Most people arrive in Ramsgate GB on 4 July in readiness for the opening ceremony on Saturday and the first of four rounds of racing over the course of a week kicking off on Sunday. I am looking for a current or retired “Welsh speaking” ski racer in Wales who can participate in an S4C extreme sports TV show. Julia Olinski and Alison Smith are already submitting information to British Water Ski’s “Waterski & Wakeboard Magazine”. They are now looking for more people to provide them with news, views, information and photos from the British water ski racing events. Britain’s Jake Frame was captured in action twice by Keith Slater. Courtesy of Sue Fleming, the results from the third round of the British Championships which took place on Sunday at Brixham are available here. Britain’s Sam Clapson was captured in action at the 2008 Allhallows National by Keith Slater. Britain’s Will Newland was caught in act by sports photographer Keith Slater. Chairman of the British Olympic Committee, Lord Colin Moynihan, plans to attend the opening ceremony of the 2008 European Water Ski Racing Championships at Ramsgate, Great Britain this year where over 60 international skiers are expected to compete. You can read more about the former Olympic Rowing athlete and former British Minister for Sport here. Britain’s Adam Murfet performs for the camera at Hunstanton’s first club race of the season on 13th April. Click photo to enlarge. The image below is of a live web cam at the port of Ramsgate. Click here or the image to enlarge. Keith Slater’s Lyme Regis shots are now available on his web site. Scott and Kurt Brooks were out training at Stone Water Ski Club last weekend and Kurt had the camera handy as Scott pulle off this great bunny hop. The first round of the British Championships took place on Sunday at Allhallows. Official results are below and Keith Slater was there on the water capturing the action. Britain’s Rod Hawkins was captured getting some air off the coast of Lyme Regis (location of the movie “The French Lieutenant’s Woman”) by photographer Keith Slater in 2001. Britain’s Natalie Scott hops off Windermere in 2007. Britain’s Paula Newland is seen here hopping off the River Tamar in Plymouth. Top ski racing photographer Keith Slater caught her in the act around 1999. British Water Ski – the governing body of water skiing in Britain, has a new vacancy for the role of OPERATIONS MANAGER. Darren Kirkland’s Bunny Hop at the Lyme Regis National in 2001. Captured in action by Keith Slater. 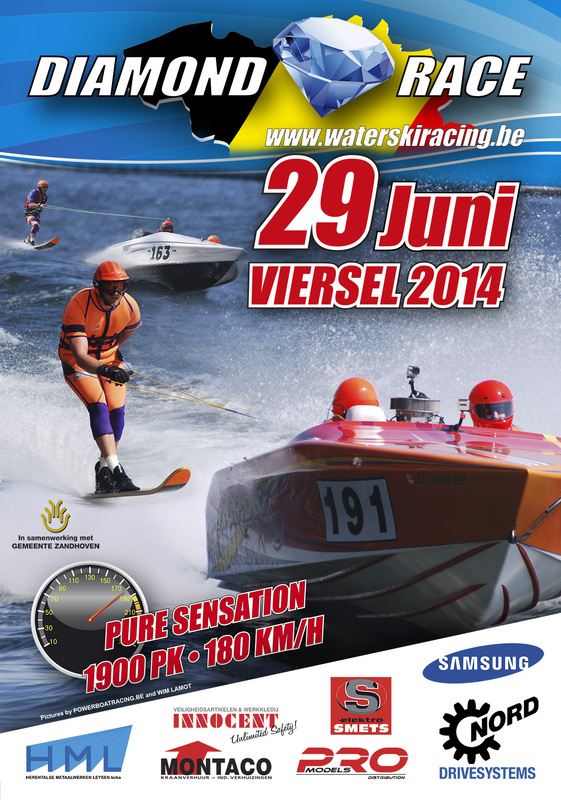 Mike Waterman has released the combined British Water Ski and EAME Water Racing Calendar for 2008. The 2008 European Ski Racing Championships is off to a great start this season with strong sponsorship backing from Thanet District Council and a champagne launch at the London Boat Show … as featured on BBC news. Check out the British Water Ski site for Youtube video of this news feed. If you would like to get involved with Roger Lincoln in making movies at the British water ski races this year, email him at roger@linc69.orangehome.co.uk. Both sponsorship and technical involvement is welcome. USA Water Ski has today reported that the American Water Ski Educational Foundation’s 10-member Hall of Fame Selection Committee has announced that Kris LaPoint and Water Ski Racing’s Marsha Fitzgerald will be the 2008 AWSEF Water Ski Hall of Fame inductees. Brad Cannings has provided this link www.photocornwall.co.ukÂ for some great shots taken by PhotoCornwallÂ at the Torquay British national recently. The 2007 Stone national Water Ski racing is dedicated to Karl Brooks.